Surgery is a specific branch of medicine that employs manual and/or mechanical techniques to investigate/probe, excise/remove, improve/repair damaged tissue or diseased substances within the body. Surgical procedures for asbestos related diseases such as lung cancer or mesothelioma are most often palliative (pain and symptoms) measures. Based on the type, location and stage or the disease, the following surgical procedures are used to reduce the diseases effects and in some cases may extend life. A thoracentesis is used to drain fluid from a pleural effusion, fluid that occurs in a mesothelioma patient’s lung, the protective membrane, the pleura. Simply, a tube is inserted into the pleura to drain off the excess fluid to relieve the patient’s discomfort from the pressure being applied to the lungs and chest. This build-up of fluid causes difficulty in breathing. Pleurodesis is an effective surgical procedure that seals the space between the tissues of the pleura to prevent fluid from accumulating. The procedure does not treat the cancer, but it does relieve the painful symptoms associated with a pleural effusion, the building up of fluid in the lungs. There are actually two types of pleurodesis that maybe performed, talc pleurodesis, and talc slurry pleurodesis. In both procedures the fluid is drained from the lung and a form of talc power is used causing the lung to adhere to the ribcage preventing fluid to accumulate. Talc pleurodesis uses a thoracoscopy. which is a camera used to assist the surgeon in reviewing the pleura. 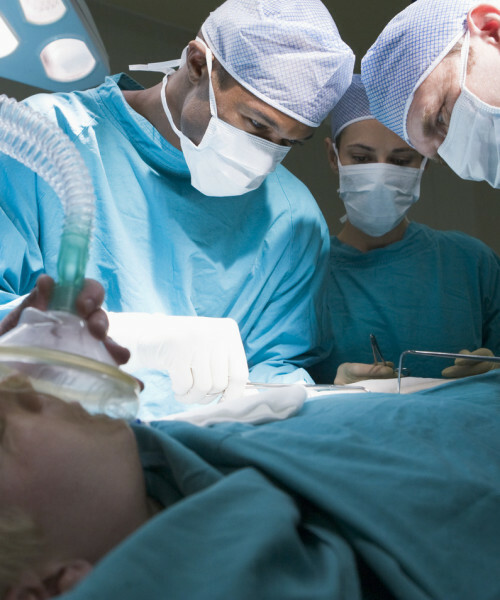 General anesthesia is administered during the surgery, and all the fluid is drained from the pleural cavity. The surgeon may also break up any existing adhesions and biopsy are also performed. A form of talc powder is inserted to coat the lung’s surface and the inside of the ribcage. The talc causes the lung to adhere to the ribcage preventing fluid from accumulating. A procedure performed without general anesthesia when adhesions are not present. Fluid is again drained from the pleura by the insertion of a chest tube. During the pleurodesis, talc is combined with a saline solution creating a slurry which is then inserted into the chest tube entering the lung and ribcage area. The patient’s body is then moved into a series of different positions. The talc slurry is distributed over the entire surface of the lungs and the ribs. Once the talc slurry has coated the lungs and ribs, suction is then applied to the chest tube pulling together the pleural surfaces causing them to fuse together, again preventing fluid to build up. Pleurectomy /decortication is a surgical procedure that removes the pleura where the tumor is located, allowing the lung to expand and fill the pleural cavity. Mesothelioma frequently causes fibrothorax, an abnormal fibrous tissue that grows in the pleural space. This abnormal tissue usually causes an entrapment of the lung underneath, a condition sometimes known as “trapped lung”. In a pleurectomy/decortication, the abnormal fibrous tissue is actually stripped away from the lungs. Pneumonectomy is a surgical excision of an entire lung or one or more lobes of the lung. Extra-pleural pneumonectomy is a surgical excision of not just of the lung or lobes of the lung, but also its lining and the associated linings of the diaphragm and pericardium. Paracentesis is a surgical procedure of the bodily cavity/abdomen to draw off fluid, peritoneal effusion. This excess abdominal fluid is removed through a tube taking pressure off the internal organs and is a therapeutic or palliative treatment. 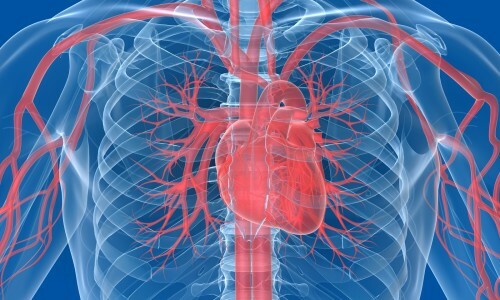 Pericardiocentesis is a surgical procedure removing excess pericardial fluid from the sac surrounding the heart. The surgeon inserts a needle into the pericardium to draw off the excess fluid. Cytoreductive surgery, often referred to as debunking, is the surgical removal of part of a malignant tumor that cannot be completely excised. This operation is usually long and extensive, taking several hours to perform but enhances the effectiveness of chemotherapy or radiation. Studies have shown some patients living up to 5 years later depending on the patient’s physical condition and the advanced stage of the malignancy. A peritonectomy is a surgery removing the lining of the abdomen, called the peritoneum. Peritoneal mesothelioma tumors usually begin in this area of the abdomen.